Home / All TV Shows / 'Allo 'Allo! When will be 'Allo 'Allo! next episode air date? Is 'Allo 'Allo! renewed or cancelled? Where to countdown 'Allo 'Allo! air dates? Is 'Allo 'Allo! worth watching? Private Helga Geerhart undertakes to marry Herr Flick of the Gestapo in order to report his every move to General Von Klinkerhoffen. Michelle of the Resistance plans to infiltrate German headquarters to rescue the British airmen, using hijacked German uniforms. Who will fit them? Officer Crabtree reckons Rene's chances are farty to one. Cafe Rene is the venue for a clandestine deal involving a solid gold cuckoo clock weight, the Portrait of the Fallen Madonna with the Big Boobies by Von Klomp , and five anonymous characters wearing paper bags over their heads who answer to the names of Colonel X, Lieutenant X, Captain X, Private X and X.
Fanny and Leclerc's wedding is timed to coincide with the execution of Michelle's most audacious escape plan to date. 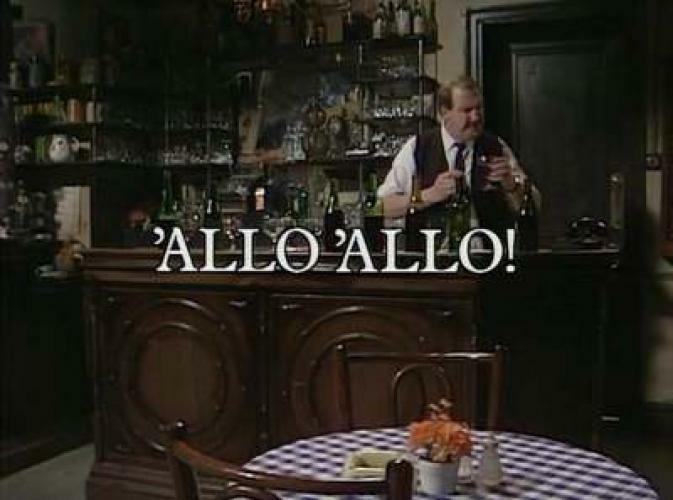 'Allo 'Allo! next episode air date provides TVMaze for you. EpisoDate.com is your TV show guide to Countdown 'Allo 'Allo! Episode Air Dates and to stay in touch with 'Allo 'Allo! next episode Air Date and your others favorite TV Shows. Add the shows you like to a "Watchlist" and let the site take it from there.